ServiceMaster SouthWest was started in 1989 by Jerry and Paulette Janak and we are the main provider of disaster restoration and cleaning services to Sugar Land, TX and Fort Bend County. Jerry and Paulette have received industry certification for fire and water damage restoration and their staff and technicians have also been trained and certified to do disaster restoration and cleaning jobs in commercial and residential settings. ServiceMaster SouthWest is a training organization as well and we offer a range of CE classes for insurance agents and adjusters regarding water damage restoration, mold remediation, and other related topics. You can call us anytime, 24 hours a day at (281)247-3113. 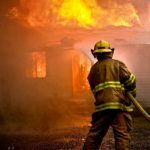 Fire and smoke can cause extensive damage to a home or building and it is important to call for cleanup and restoration services immediately after the fire is extinguished because the byproducts left behind can cause the damage to become permanent. 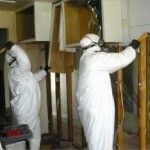 ServiceMaster SouthWest provides fire and smoke damage restoration services to homes and businesses in Sugar Land, TX. Our technicians can repair the damage caused by fire and remove soot and smoke damage so that the building is clean and safe to use. Water damage within a home or building can be very problematic and it occurs from a number of different sources. 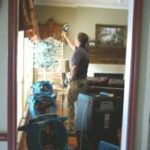 ServiceMaster SouthWest provides water damage restoration services to repair the damage caused by excess water or moisture and repair the source of the moisture to prevent future water damage. Make sure to contact us as soon as you discover water damage in your home or office because ignoring the problem will lead to more extensive damage and mold growth. The carpet and flooring in a home or building experiences more daily use than most furnishings and as a result, they tend to wear down and become dirty much quicker. ServiceMaster SouthWest provides professional carpet and upholstery cleaning services as well as hard surface floor cleaning to homes and businesses in Sugar Land, TX. 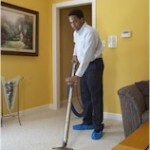 Our carpet and upholstery cleaning services will restore the appearance of these surfaces and increase their longevity. 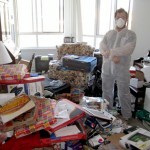 Hoarding is an issue that affects many people throughout the United States and it is typically the responsibility of a loved one or family member to help a hoarder clean out their home. ServiceMaster SouthWest offers effective hoarder cleaning services to help hoarders and their loved ones clean out their homes and make them safe to live in. We can also clean up any biohazard materials that may be found in the hoard. Many industrial and commercial settings provide challenging work environments and they can often be difficult to adequately maintain. ServiceMaster SouthWest offers commercial cleaning services to help clean and maintain all types of commercial and industrial facilities in Sugar Land, TX for a clean and healthy work environment. We create cleaning plans specific to the needs and budget of the company and make sure to follow the specialized standards of your facility type. Trauma scenes created by violent crimes are tragic situations and they usually contain biohazard materials that require special certification to clean up. ServiceMaster SouthWest provides crime scene and trauma scene cleaning services to safely clean up all biohazard materials and restore the scene to a safe condition. We can effectively clean biohazard materials from a crime scene without compromising the investigation. Unfortunately people experience serious accidents involving injury or death and these scenes often contain biohazard materials such as blood or bodily fluids that can only be removed by a trained professional. ServiceMaster SouthWest provides biohazard cleaning services to safely clean up trauma scenes in Sugar Land, TX. Biohazard materials must be removed by a certified professional because if they are handled improperly, they could spread infection or disease. A clean building or office space can help boost the image of a company with their clients and employees but sometimes it can be difficult for a company to keep their building cleaned and maintained. 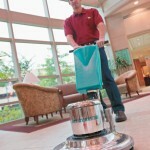 ServiceMaster SouthWest offers professional janitorial services to businesses in Sugar Land, TX to help keep their buildings consistently maintained. 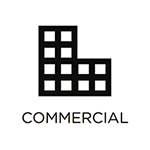 We create a cleaning plan for each individual business and we can provide janitorial services for offices, retail stores, hospitals, and other commercial settings.